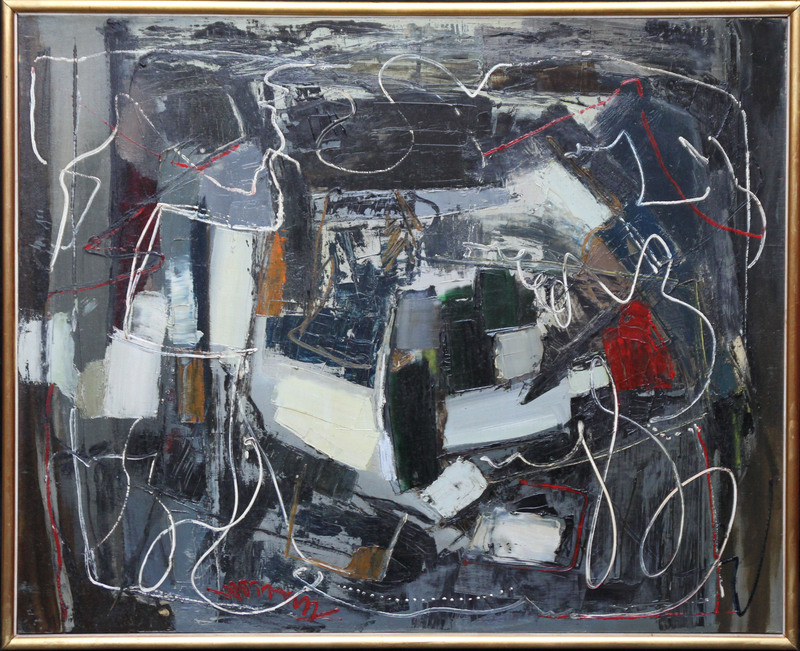 This stunning Abstract Expressionist oil painting is by noted British artist Robert Sadler and is from the late 50's. This is a fantastic example of his work and mixes abstraction with figurative landscape lines. Signed lower left. Housed in a slim gold frame 38 inches by 31 inches.